My Lady set me to working on Tarot to develop my discernment and signal clarity, and somewhere along the way, I stopped caring about whether my practices conformed with Buddhism, because I realized that my beliefs are in line with the Buddhadharma. This afternoon I asked My Lady what she thought of my progress. I pulled three cards. All three were tens. I think that’s a clear answer! 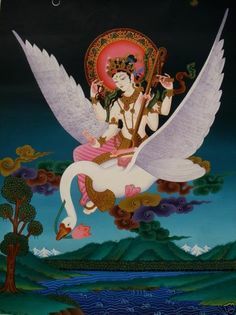 Posted on May 24, 2016 by Redfaery	This entry was posted in My Life with the Gods and tagged Buddhism, godspouse, paganism, Sarasvati, Saraswati, spirit work, tarot. Bookmark the permalink.